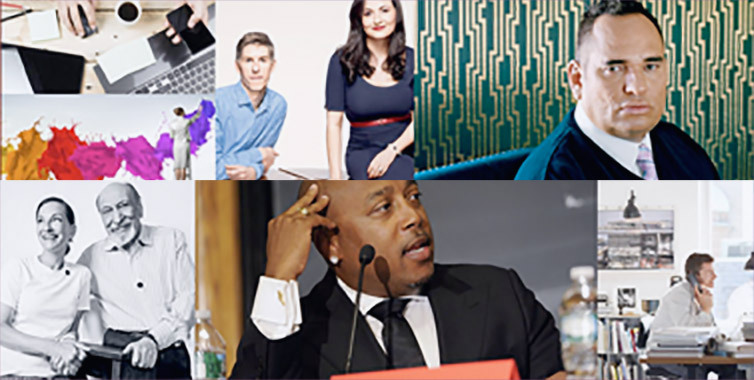 Be recognised for your entrepreneurial success. 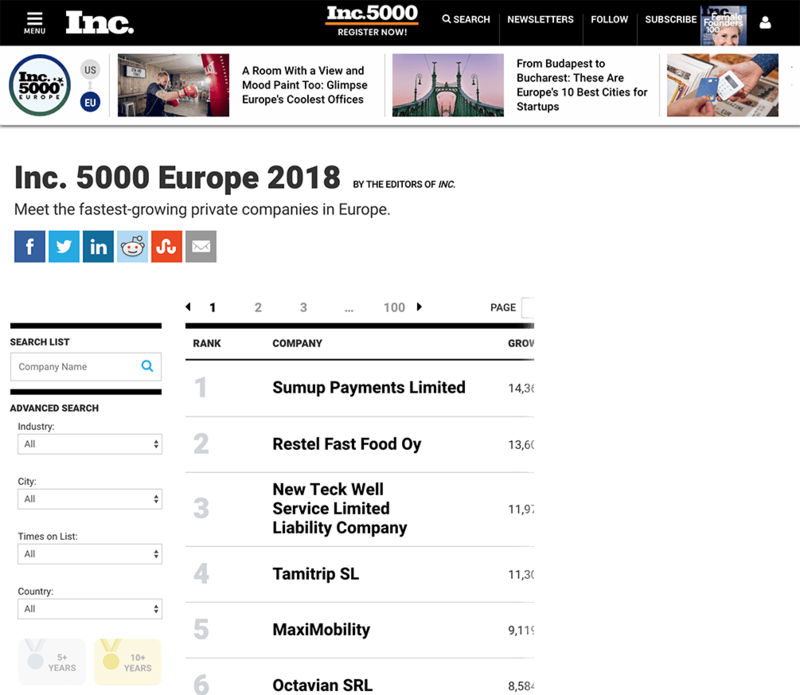 The Inc. 5000 Europe list of the fastest-growing companies recognises the innovative achievements of European companies in generating sustainable growth and jobs, and is the most esteemed honour growing private businesses and business leaders can receive. 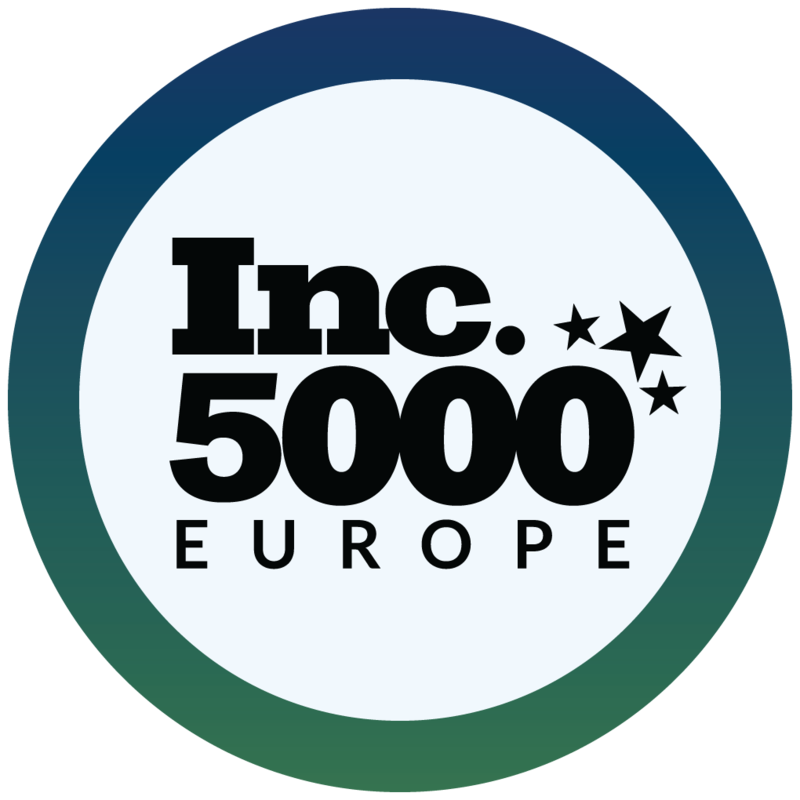 Global recognition as an Inc. 5000 honouree brings increased visibility, prestige, and growth opportunities to your organisation. Give your company exposure in local, national, regional, and industry showcases. Last year, the list garnered over 35 million impressions from the likes of Inc.com, Yahoo, CNBC and a wealth of regional press. Beyond recruiting, employee morale, and marketing boosts, all honourees will have access to powerful networking opportunities and receive a permanent and dedicated company profile on Inc.com. 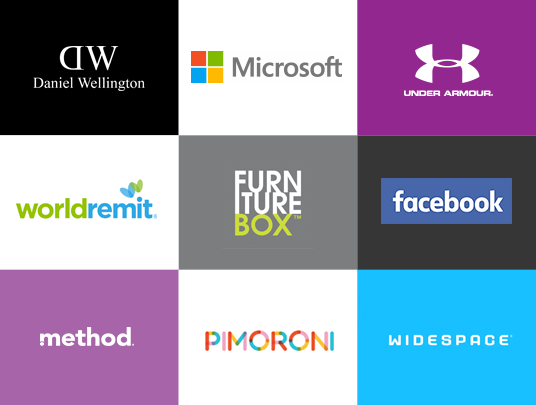 All members will be among an elite organisation of business leaders that have demonstrated drive, passion, and dedication to achieving outstanding growth in revenue across Europe—a remarkable feat by any measure. Find out more by visiting our Eligibility section or checking out our Frequently Asked Questions. Find yourself in the best of company. 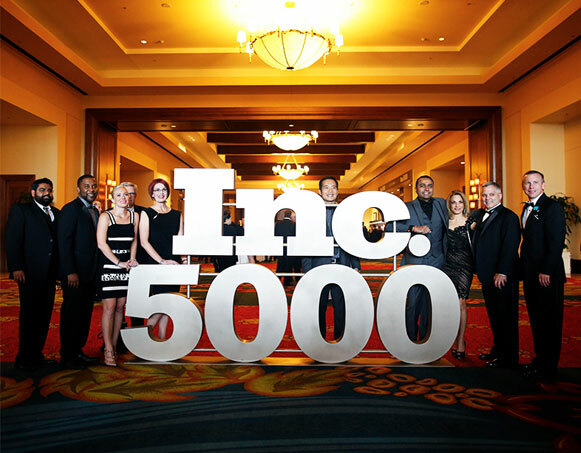 Join past honourees like Microsoft, Daniel Wellington, Timberland… and more—each of whom benefitted greatly from the exposure and experience of being listed on the Inc. 5000.